The U.S. Mission in Morocco is pleased to announce the third edition of the “My Summer of Discovery” open grant competition. The Public Affairs Office invites proposals from established Moroccan associations to organize sleep-away camps during the summer of 2019 for youth between the ages of 14 and 17 years old. The Public Affairs Section will support camps inspired by summer camps organized in the United States where youth learn new skills, challenge themselves, and get to know peers who share their interests. Summer camps help young people discover and explore their talents, interests, and values while developing self-confidence and leadership skills. The camps will be part of a wider U.S. Embassy initiative called “Moonshot Morocco,” which seeks to introduce Moroccan youth to advances in science, technology, and entrepreneurship, improve their leadership skills, and give them the confidence and ability to take on innovative new projects. The camps will be branded both as My Summer of Discovery and Moonshot Morocco programs. Organizations are encouraged to submit proposals that use a mix of interactive activities and other learning experiences to help young people gain new skills and discover their hidden talents. 1) Help Moroccan youth explore and discover their potential through innovative science, technology, engineering, arts, and math (STEAM) programs particularly through adaptation of U.S. models and best practices in these fields. 2) Help Moroccan youth develop their organizational, risk-taking, and business talents by developing entrepreneurship projects, particularly through adaptation of U.S. models and best practices in these fields. 3) Encourage Moroccan youth to develop and strengthen competencies in leadership and, advocacy and civic engagement. In order for a project to be considered, the proposal must focus on one of the specific themes mentioned above. Proposals must include a clear agenda of the camp’s activities; an explanation of how applicants will be recruited and the camp will be implemented; and a description of how the camp activities will bring about the intended results. Only registered associations with experience executing youth programs will be eligible to receive funding. The camp format should be sleep-away camps for 40 to 60 participants held in one session with a minimum duration of 10 days. Lodging, travel and full board for participants will be covered by the grant. Equipment cannot account for more than 10% of the total project cost. Grants will be awarded to registered associations that already have a final registration receipt and an established bank account at the time that they apply. Associations applying to this program should have organized at least one successful summer camp in Morocco, or plan to partner with an association that has extensive experience in managing summer camps. Preference will be given to camps that target talented youth in underserved communities outside of major cities. 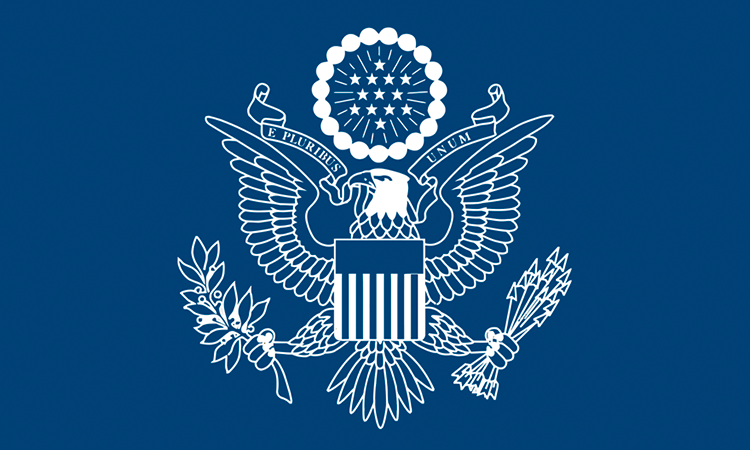 U.S. and third-country organizations or nationals are not eligible for grants under this program unless in partnership with a Moroccan NGO. All proposals must be submitted to the U.S. Embassy by March 16 using the online form – no late proposals will be considered. All applicants will be notified of funding decisions in April, subject to the availability of funds. Number of awards anticipated: three awards, one award per theme, and one session per camp. Award amounts: awards may range from a minimum of $20,000 to a maximum of $30,000. Projects for lesser or greater values will be considered on a case-by-case basis. Camp start date should be after June 20th, 2019 and must be completed by August 5th, 2019. System for Award Management (SAM.gov) (If you have applied and have not yet received the registration number, provide proof of application). Proposals must include a detailed agenda of daily activities. If other sponsors are already supporting the proposed activity, please list those additional sponsors and the amount of their contribution. Please apply for the D&B DUNS Number and NCAGE Code at the same time to reduce waiting time of information. The Legal Business Name and Address must MATCH EXACTLY when entering it into the D&B DUNS, NCAGE, and SAM.gov websites – this includes spaces, parentheses, capitalization, small letters, punctuation, etc. Self-registration in D&B DUNS, NCAGE, and SAM.gov is free of charge. The DUNS/UEI number is a nine-digit number established and assigned by Dun and Bradstreet, Inc. (D&B) to uniquely identify business entities. While acquiring the D&B DUNS/UEI Number, please register to receive an NCAGE Code Number with NCS at the same time. See instructions below. Step by step information is also included here (Word – 567 KB). NATO Commercial and Government Entity (NCAGE) codes are required for all foreign entities to create an account in SAM.gov. The Code is a five-character ID number, and can take, at a minimum, 4-5 business days to create. Once in the NATO Codification Tools website, scroll to the right-hand corner and click the “Magnifying Glass.” The magnifying glass will open a new page. Scroll down the right-hand side until you see “Request New,” click on this link and it will take you to the next page to apply for an NCAGE Code Number. When asked if the entity to be registered is a supranational organization please click “No” (if you are not part of a member state). Validate the newly assigned NCAGE Code via the Business Identification Number Cross- Reference System (BINCS) at https://www.dlis.dla.mil/bincs/begin_search.aspx. If the assigned NCAGE is not listed in BINCS, the recipient should call 001-269-961-4623 or send a message to NCAGE@NSPA.NATO.INT. For assistance by telephone, please call: 1-888-227-2423 (inside the U.S.) OR 001-269-961-7766 (outside the U.S.). E-mail NCAGE@dlis.dla.mil for any problems in obtaining an NCAGE code. SAM is a U.S.-government wide registry of vendors doing business with the U.S. federal government and requires annual renewal. The system centralizes information about grant applicants/recipients, and provides them with a central location to change their organizational information. More information about SAM.gov and useful guides for setting-up a new account, updating an existing account, or renewing an expired account can be found at: https://statebuy.state.gov/fa/Pages/SAMInfo.aspx. Please complete ALL of the above steps before attempting to register in SAM. If you have had an active record in The Central Contractor Registration (CCR), you may already have an active record in SAM. To check for an active registration, please conduct a “search” for your record using the organization name and/or DUNS Number in SAM. If you are not registered, your organization or entity will not be found. If your organization does not have an active registration, you must create a user account and input all information in the exact manner as you have for the IRS, D&B DUNS, and NCAGE. If the applying organization already has the necessary information on hand (see the SAM User Guide), the online form takes approximately one hour to complete, depending upon the size and complexity of the applying entity. Because of the different steps in the process, it might take anywhere from three to fourteen business days to complete the process of creating an account with the system. If you encounter any error, please contact the SAM Federal Service Desk to report problem at https://www.fsd.gov/clients. There is a standard (not toll free) number that customers can use 334-206-7828. Quality and Feasibility of the Program Idea: The program idea is well developed, with detail about how program activities will be carried out. The proposal includes a reasonable implementation timeline. Goals and objectives are clearly stated and program outline is likely to provide maximum impact in achieving the proposed results. Organizational Capacity and Record on Previous Grants/Program Implementation: The organization has expertise in its stated field and has the internal controls in place to manage federal funds. This includes a financial management system and a bank account. The Public Affairs Section will evaluate all eligible applications. The evaluation process will consist of two stages. First, a technical review will be completed to ensure that proposals and organizations meet the criteria set forth above. Second, a Grant Review Committee comprised of personnel from the U.S. Embassy in Rabat and the U.S. Consulate General in Casablanca will evaluate eligible proposals on the basis of the criteria identified above. The Ambassadors Fund for Cultural Preservation (AFCP) supported projects for Morocco include the restoration of ancient and historic buildings, assessment and conservation of rare manuscripts and museum collections, preservation and protection of important archaeological sites, and the documentation of vanishing traditional craft techniques of the cultural heritage of Morocco. The AFCP program was established by the United States Congress in 2001. The AFCP was developed to support countries in preserving their cultural heritage and to demonstrate U.S. respect for other cultures. To date, the Ambassadors Fund has supported more than 550 projects worldwide, totaling more than $20 million. The AFCP supports the preservation of cultural sites, cultural objects, and forms of traditional cultural expression in more than 100 developing countries around the world. The U.S. Embassy in Rabat is now accepting project proposals from Moroccan organizations for the U.S. Ambassadors Fund for Cultural Preservation (AFCP) 2019 Competition. The AFCP supports the restoration of ancient and historic buildings, and the conservation of rare manuscripts museum collections and Morocco’s unique cultural heritage. All applications must be submitted before December 14, 2018.